This 11" Stainless Steel Twisted Handle Bar Spoon is a solid metal piece made to stir juices and cocktails. Perfect for bar and home use, these spoons provide an alternative to a cocktail shaker by combining the ingredients directly in the glass. The bowl of the spoon is solid but small to fit in any glass and to combine ingredients despite any ice that may be present. 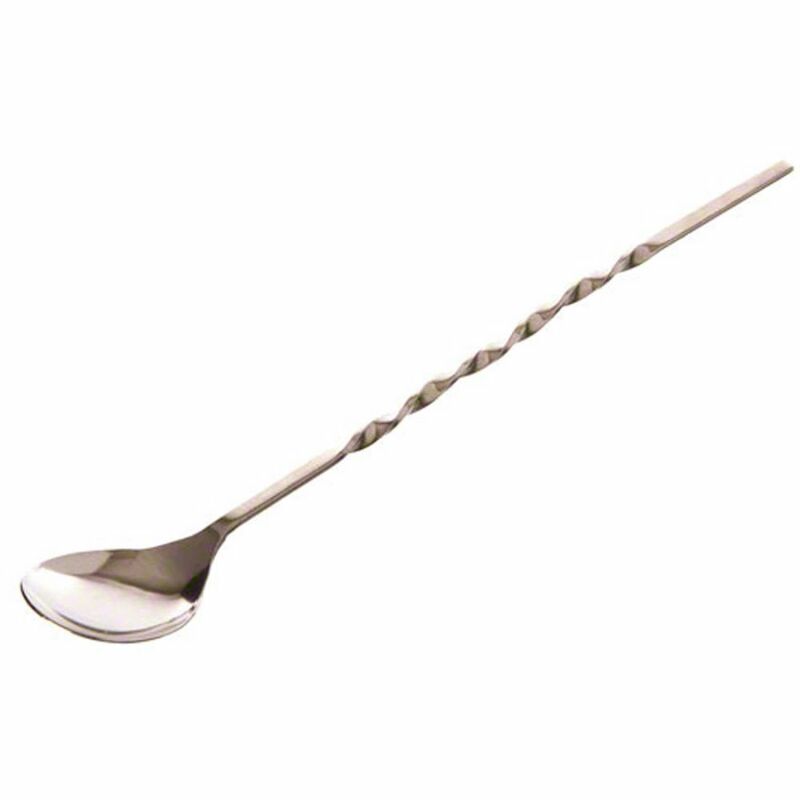 The handle of the spoon is twisted to provide greater support and durability to the thin metal, and is very long to fit in any glass or shaker. Made from stainless steel, you can rest assured that these spoons will not rust, corrode or tarnish regardless of acidity levels in your beverage.